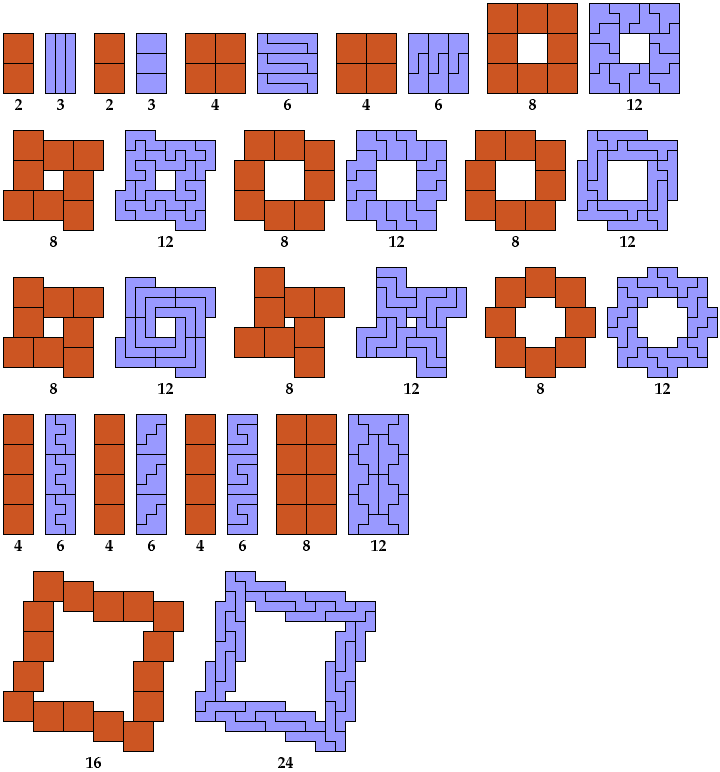 The square enneomino is a polyomino made of nine squares joined to form a 3×3 square. The compatibility problem is to find a figure that can be tiled with each of a set of polyforms. 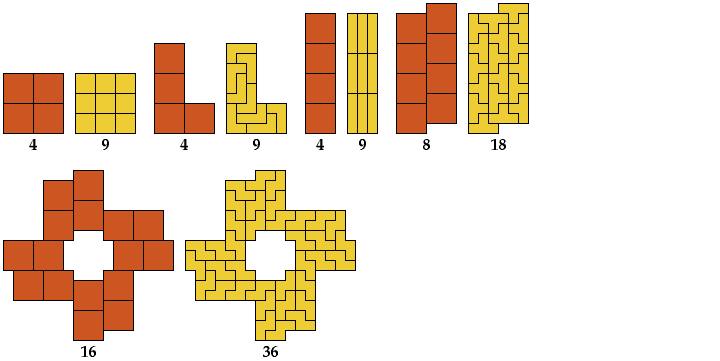 Here I show minimal known compatibility figures for the square enneomino with other polyominoes. If you find a smaller solution or solve an unsolved case, please let me know. Joseph DiVincentis found the two solutions with green squares. 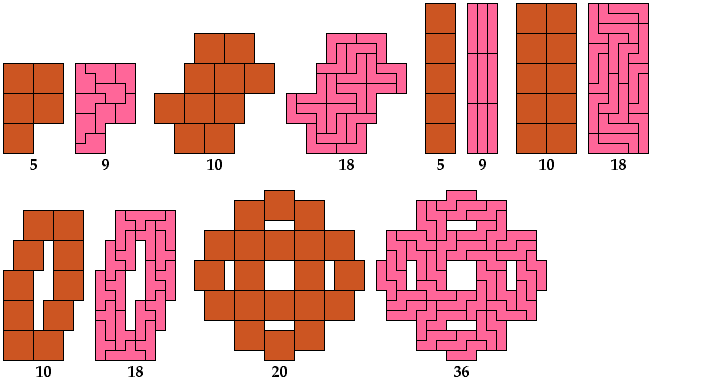 For arranging polyominoes into rectangles in general, see Michael Reid's Rectifiable Polyomino Page.